Wouldn't you love to get away somewhere warm right about now? 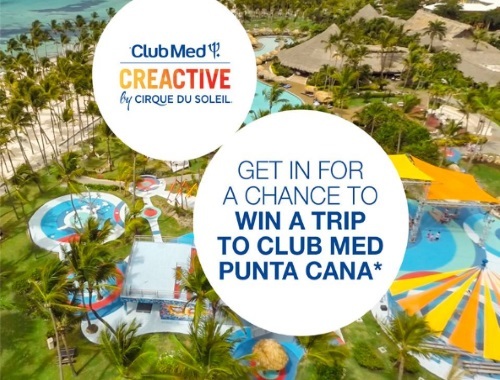 Club Med is giving away a trip to Punta Cana in their Club Med Creactive by Cirque du Soleil Contest! Prize includes 7 nights for 2 adults for Club Med Punta Cana, Dominican Republic in all-inclusive package standard room occupancy. Meals, snacking and drinks included in the traditional Club Med all-inclusive package Activities included in the traditional Club Med all-inclusive package (value $3600). Contest closes December 23, 2016.